One of the things we love about the show is having a different poster by a different artist every time. 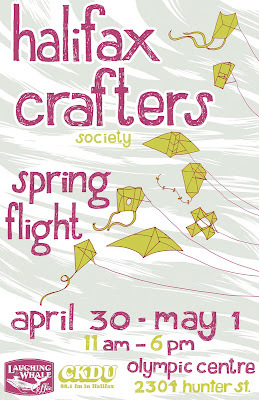 There's so much talent in the Halifax Crafters Society that we have a lot of fun choosing themes and posters. 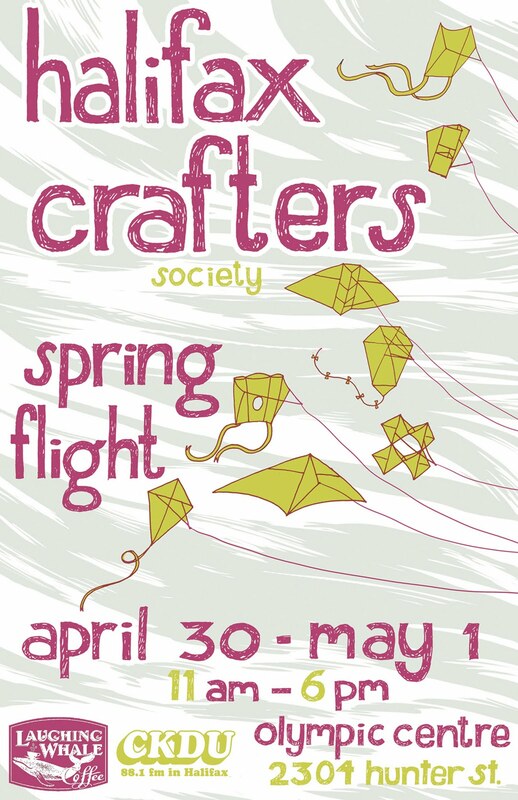 The poster for the Spring Flight show was designed and screenprinted by Colleen MacIsaac of Little Foible (with screenprinting help from Joanna and Kat). We decided to ask Colleen to tell us a bit about her design. My poster design came about when I started brainstorming about things that remind me of spring in Halifax -- I live near Citadel Hill and often walk around and across it, and seeing people getting out to fly kites there more often is a sure sign of spring for me. 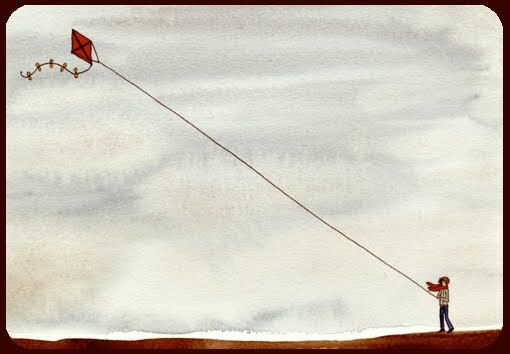 I also have a fondness for kites in general (though I'm pretty bad at flying them myself), and my 2009 OMF animation Kate and Bradbury featured a kite and a bicycle -- kites pop up in my work fairly often. kate and bradbury from Colleen MacIsaac on Vimeo. I'm an interdisciplinary artist -- I make comics, animated films, paintings, screenprints, and theatre. I've been lucky enough to be at every Halifax Crafter's show since December 2007, and it's been so incredible to see the range of work that is presented....I've never been at a Halifax Crafter's fair where I haven't bought some sort of amazing cards, jewellery, food, zines, pins, clothing, or artwork. Poster design is nice. You are doing very unique art work. I love these work.